Boys Birthday shirt. 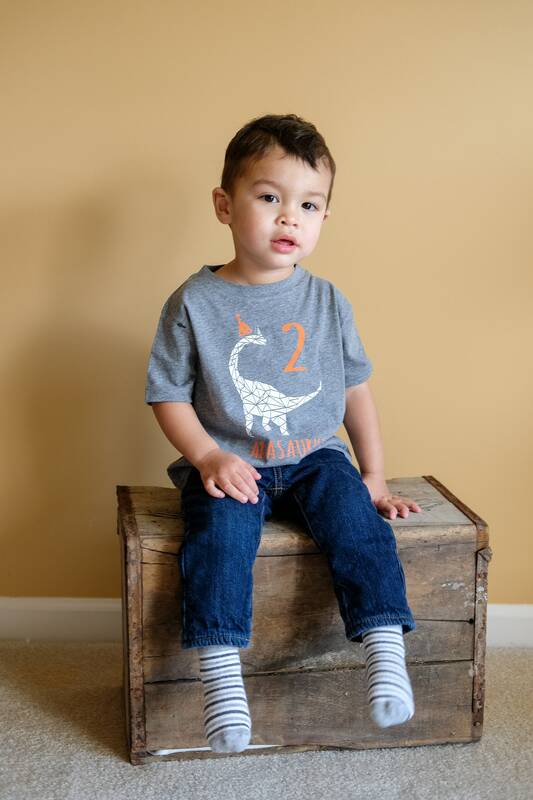 Dinosaur Birthday Shirt (Any Age) . 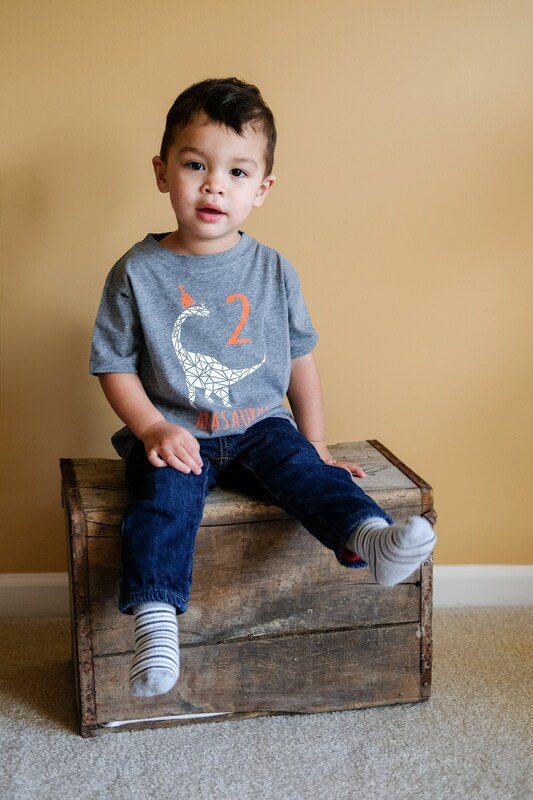 Brontosaurus shirt. Dinosaur Birthday theme. Customize name and birth age! Boys Birthday shirt. 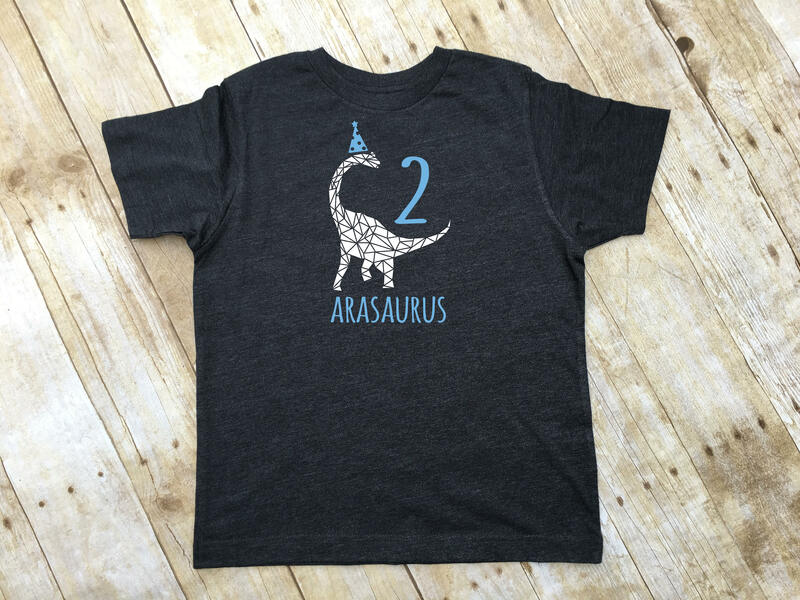 Arasaurus second Birthday Shirt. Brontosaurus shirt. Dinosaur Birthday theme. Customize name and birth age! 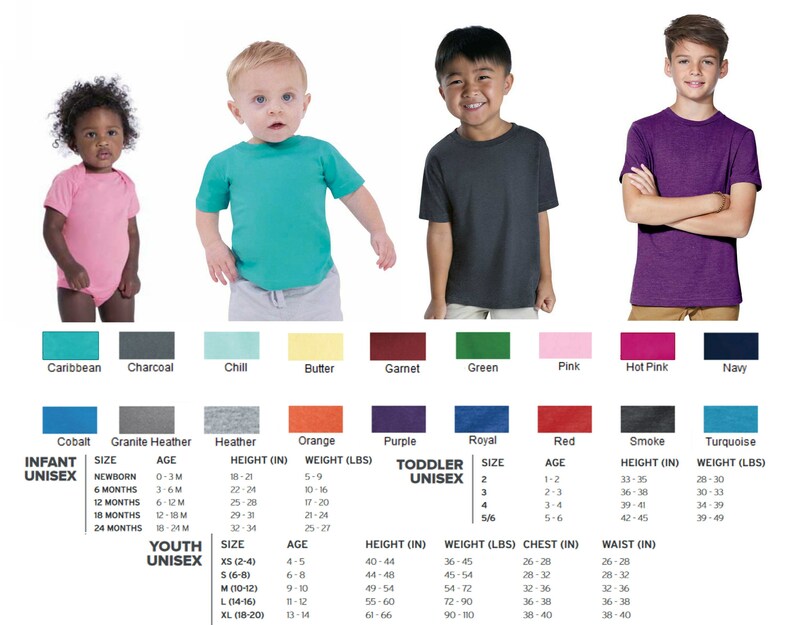 Please send (NAME)saurus, birth year and the 2 colors of vinyl you want in the notes to seller at checkout!